How does voice recognition biometrics work? Most people involved in customer services remain blissfully unaware that voice biometrics is one of the most efficient and effective ways to verify an individual’s identity. Equally surprising is that it is only being used amongst a handful of early adopters – such as Barclays, Tatra banka, Banco Santander and more recently HSBC – but in each of these cases, it has produced great results. In the short time voice biometrics has been available it has already demonstrated how it’s finally possible to replace the password. It works by recording a voice sample (“voiceprint”) of a customer. This is then paired with customers’ data. And so from then on, every time the customer calls the business, they are authenticated by their voice alone, and able to proceed with their request without the need for any other security procedures. Voice biometric security has been with us for a few years now and while experts claim that it’s the future of security, the reality is that the uptake has been relatively slow to date. However it is slowly replacing the password or PIN-based identity verification, which we all acknowledge is antiquated and has many failings from both the business and consumer perspectives. Going through password security is time consuming, clunky and frustrating for all parties involved. 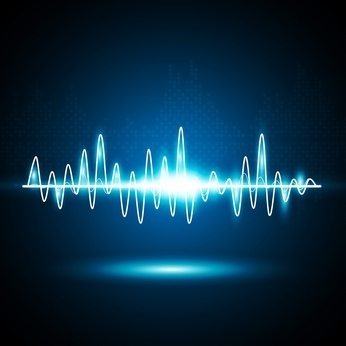 The near-immediacy of voice biometrics is beneficial to both contact centres and consumers. Contact centres are able to eliminate significant verification times, allowing them to service more customers. Consumers will benefit from receiving services nearly immediately and, of course, not having to remember their password – which we know is a major chore in itself. The other benefit is the reduction of identity fraud. Stealing a voice is far more difficult than stealing passwords and ‘physical’ documents. This is powerful for businesses as it has been proven to save millions, but it also delivers an added level of protection to the customer, safeguarding them from the distress of having their identity stolen and needing to go through the subsequent and often lengthy claims processes. For consumers perhaps the biggest single benefit is that they now no longer have to remember a secret word, memorable phrase or password – they just need their voice. No matter how good you are at impressions, you will not be able to replicate someone’s voiceprint. Your voiceprint doesn’t change over time – it is the same throughout your life. Even if you are driving a tractor at the same time, the system will identify your voice. This is a foolproof system, which also addresses PCI-DSS compliance – often a barrier for new technologies, but not in this case. This time reduction has resulted in significant efficiency increases and fewer operators required to provide the same level of service, which enabled the bank to focus more on active sales. It also increased the bank’s Net Promoter score by 62 per cent after three months of using voice biometrics. Voice recognition is not only used in banking. It is also used for recharging prepaid mobile phone cards, validation of web transactions and for authentication of mobile phone applications containing sensitive personal or corporate data. Whenever a financial operation or transaction needs to be done either quickly or unexpectedly, voice biometrics is not dependent on any one device. Considering where we are today with the near pervasive use of passwords to verify customer identities, voice biometrics is more than a single leap in terms of convenience, usability, accessibility, functionality and of course, security. Read more HERE to find out how Soitron will help improve your security, customer experience and achieve a more personalised service differentiator for your business, thanks to Voice biometrics.